A Ukrainian-Croatian wedding that had a coming together and different traditions. In this photo, the bride is doing a Ukrainian dance move of holding on the groom's neck and spining around and around. As someone married to a former Ukrainian dancer, I appreciate how easy these moves look in person and how tough they really are. 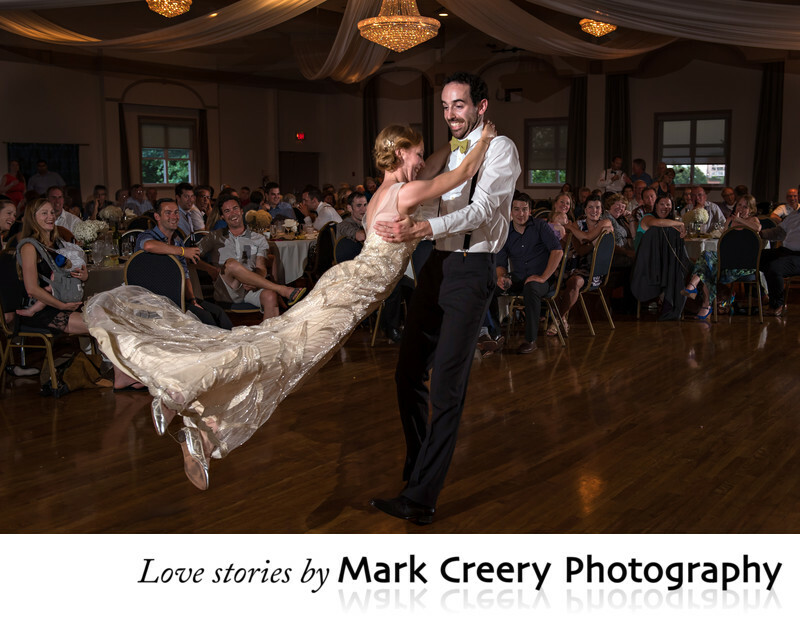 I didn't try this move at my own wedding, but we definitely did the polka. We also had a korovai and our relatives sang mnohaya lita. I am a multi-cultural person with lots of experience capturing the many aspects of an ethnic wedding. If you need a wedding photographer in Colorado that specializes in bringing out the most of your personalities, get in touch.